Do you want to invite some kids over to go trick or treating with you and your own kids? Check out this awesome Halloween Trick or Treat invitation template. No need to stress-out because of the Halloween invitations. Just download the template for free, fill in the details, save, print and invite your kids' friends over. You'll definitely be the best mom or dad in history! Throwing a Halloween party for grown-ups? No worries! 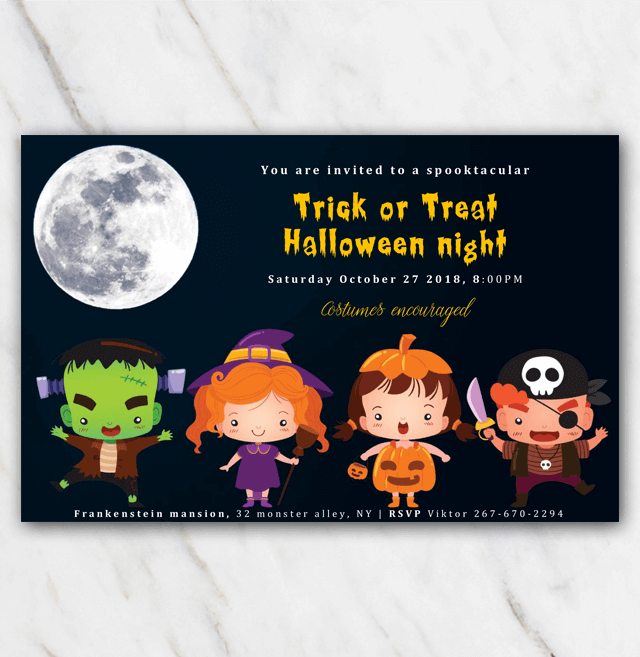 Just check out the other Halloween party invitation templates and you'll definitely find another Halloween template you like!